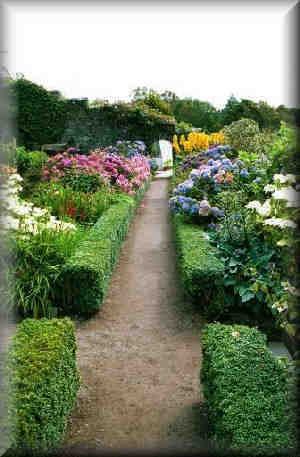 The Gardens are in a remote part of the country and were designed by scratch by Sir Osgood Mackenzie. It has to be one of the U.K’s most beautiful botanical attractions. 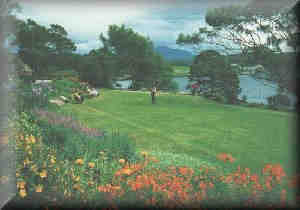 Inverewe Gardens are one mile from Poolewe, north of Gairloch in Wester Ross on the North -West coast of Scotland. The warm currents of the North Atlantic Drift or Gulf Stream help to create an oasis of colour and fertility where exotic plants from many countries flourish on a latitude more northerly than Moscow, giving an almost continual display of colour throughout the year. Himalayan rhododendrons, Tasmanian eucalypts and many Chilean and South African plants are featured, together with a large collection of New Zealand plants including the National Collection of the genus Olearia. Visitor Centre, marked footpaths. Garden open all year 9.30am-4pm. Extended hours 1 April to 31 October 9.30am-9pm (or sunset if earlier). Please note that young students must be accompanied by an adult at all times.